Residents in the Mueller development are hungry for 24-hour diner fare a la Kerbey Lane. In a strange bit of Monday morning news, the Mueller Neighborhood Association (MNA) has announced that over 100 of its members will participate in an "eat-in" on Monday evening to prove just how loyal they are to the local restaurant chain. Starting at 6:30 p.m. on June 10, a group of diners, many clad in Mueller t-shirts, will turn up at the original location of the cafe "to buy dinner as a show of interest," says Dennis Mick in a release to CultureMap. The group is "intent on encouraging management to open the next [Kerbey Lane] outlet in a retail section of the 711-acre Mueller Development." "It’s an iconic Austin restaurant," says Kathy Sokolic, president of the MNA, in the release. "We love Kerbey Lane cafes and we’d love to be walking to one for dinner in our neighborhood in the future." Mueller residents will be joined by folks from surrounding neighborhoods for Monday night's "eat-in." 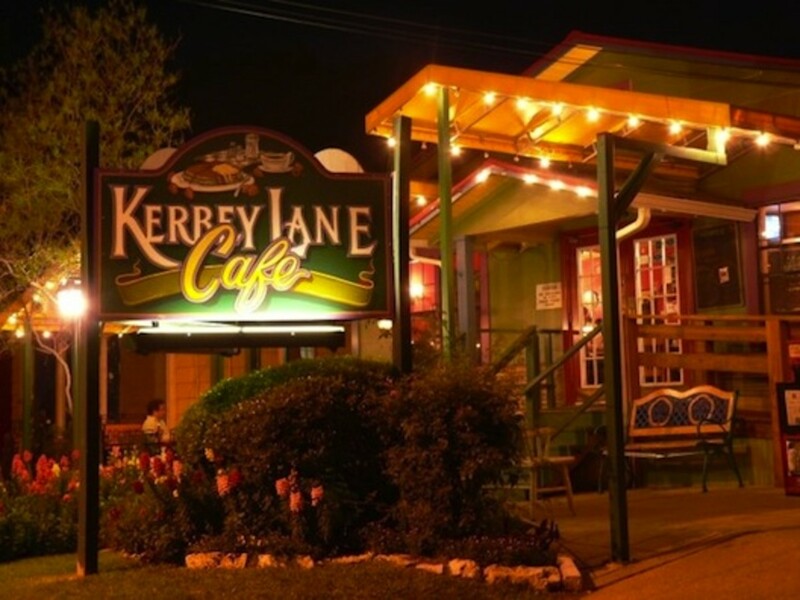 "We’re showing Kerbey Lane management that a decision to open a restaurant in Mueller would be strongly supported by the neighbors who would become a solid base for its clientele," Sokolic says. Multiple construction projects are currently underway in the Mueller development, adding shopping, entertainment and restaurant choices for the 26,000 people who will live and work in the area. As for the future East Austin home of 24-hour pancakes and queso, the MNA suggests the Market District, which will house an HEB, and the Mueller Town Center as potential locales.